NEW YORK GOLD was mined in the Sunshine State last week at the super Florida State Fair International Wine Competition, where New York wineries came home with 186 medals including 6 Double Gold, 26 Gold, 73 Silver and 81 Bronze awards. 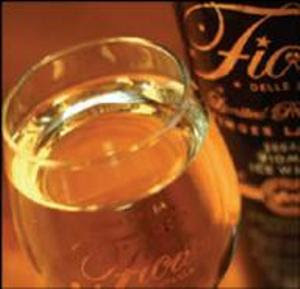 Topping the list was the Casa Larga 2006 Fiori Vidal Ice Wine which won “Best Dessert Wine” of the competition, with other Double Golds going to Arbor Hill Rhine Street Red, Dr. Konstantin Frank 2007 Semi-Dry Riesling, Imagine More Passion Ice Wine, Swedish Hill 2007 Dry Riesling and Svenska Blush. Gold medals went to Atwater 2007 Vidal Blanc, Chateau Frank 2002 Brut, Cobblestone 2007 Cherry, Dr. Frank 2007 Gewurztraminer, Fox Run Sable, Fulkerson Red Zeppelin and Airship White, Goose Watch Renaissance Red, Hazlitt White Stag, Heron Hill 2007 Semi-Sweet Riesling and 2007 Late Harvest Vidal, Hosmer 2007 Dry Riesling and 2007 Pinot Gris, Keuka Spring 2007 Lemberger, Lakewood 2007 Gewurztraminer and 2007 Dry Riesling, Peconic Bay 2005 La Barrique Chardonnay, Penguin Bay Tuxedo Red and 2007 Rosé of Chambourcin and Percussion, Swedish Hill Natural and Spumante Blush and 2007 Cayuga White and Blue Waters Chardonnay, Torrey Ridge Blue Sapphire and Diamond. 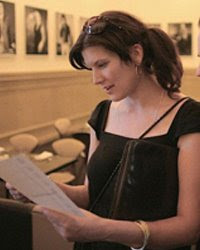 In this competition with 1,382 entries, New York wines won 3 out of the 5 Gold medals in the sparkling wine category; the only Gold in the Lemberger category; 1 of 2 Golds in the unoaked Chardonnay category; both Golds in the Dry Gewurztraminer category; all 3 Golds in the Dry Riesling category; the only two Golds in the White Hybrid Blends category; 2 of 4 Golds in the Red Native American Blends category; the only Gold in the Native American Blush/Rosé category; the only Gold in the Stone Fruits category; and the only 2 Double Golds in the Ice Wine category. This clear quality throughout many different varietals and categories, combined with the broad diversity of New York wines, is a major strong suit for the industry. 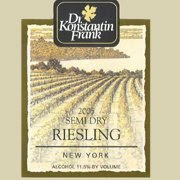 DR. KONSTANTIN FRANK 2007 Gewurztraminer Reserve won Best New York White and Best Overall White on the national level at the recent Beverage Testing Institute Wine Competition, along with three other Gold medals for 2007 Gewurztraminer, 2007 Dry Riesling and 2007 Semi-Dry Riesling, which also earned a Best Buy Award. All four wines rated 90 points or higher with the Gewürztraminer Reserve taking the highest score of 93 points. The vintage Gewurztraminer secured 90 points and the two Rieslings each got 91 points. Standing Stone Vineyardsalso got racked up some impressive scores from BTI for its 2007 Vidal Ice Wine (93), 2006 Cailloux (91), and 2007 Cabernet Franc (91). Wine & Spirits magazine gave a 93 to Hazlitt 1852 Vineyards 2007 Homestead Reserve Riesling; and Wine Spectator a 90 to Wagner Vineyards 2007 Riesling Ice Wine. Wine Enthusiast magazine Senior Editor Susan Kostrzewa recently gave some lovely reviews to some well known wineries of the east coast. Congrats to all of them! Wine Enthusiast magazine Senior Editor Susan Kostrzewa recently graded out a number of Finger Lakes wines. I am not reprinting the reviews, you'll have to go to the newsstand yourself and get a copy of the April 2009 issue to read those, but here are some of the better scores. CONGRATS TO ALL THESE NEW YORK WINERIES! Dry Riesling (Finger Lakes); $26. Dry Riesling (Finger Lakes); $15. Blanc (Finger Lakes); $25/375 ml. 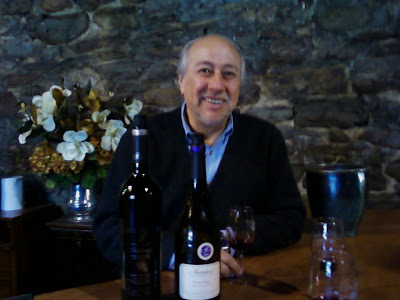 Yesterday I had one of the supreme pleasures in the wine business - spending time with someone who is in the know when it comes to New York State wine, and someone who is extremely experienced in winemaking and the wine business in general. That person is Cesar Beaza. I and a friend, Steve Casscles arrived early in the morning. Cesar greeted us and walked through the tank room, and down into the lab. Cesar first started working at Brotherhood more than three decades ago. He then left for a very big position at Pepsico, where he established several bestselling labels. But he returned to his Hudson Valley roots, and that was great for the Valley. Cesar has fought off developers as best he could, and made massive changes at Brotherhood, bringing it into the 21st century. The winery - America's oldest - has a state-of-the-art bottling line, a new guest cottage, a new French restaurant, and a fabulous new tasting room. There was also a new banquet hall for weddings, with a giant stone patio. Cesar has improved the winemaking, bringing in qualified staff as well as dedicated vineyard managers and workers. He's also working with farmers up and down the Hudson Valley, helping ensure that agriculture remains a robust part of Valley life. The grounds at the winery are constantly being updated and redone. 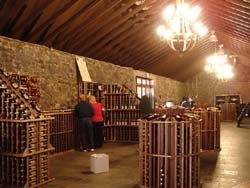 The grand tasting room remains one of the biggest and most beautiful tasting rooms in the world - California, France, East Coast, Chile, and Spain included. And the caves underneath the grounds - which appear to be the size of three or four football fields - are some of the oldest in the western hemisphere. They are very similar to the ones found at Cousina Macul in Chile, which were built about the same time - approximately two to three decades before the American Civil War. 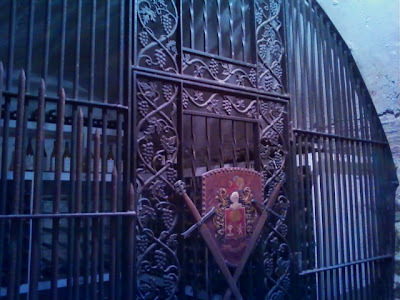 They are crowned by a fabulous old world styled wine library, complete with cobwebs and wrought-iron grate! There is no question Cesar has built a New York state powerhouse. His distribution is exceptional - combining the best of local distribution deals and a powerful in-house marketing and sales team. And recently Brotherhood updated all their labels. The final facelift. Their leading wines now come in up-scaled packaging, which really makes a difference. They look great! And last but not least - Cesar is a wonderful story-teller. He's got dozens. He told of one time when he volunteered to make a delivery in New York City sometime ago, when he, the President, delivered 10 cases to a customer. When Cesar got there, the shipping clerk hollered at him, and told him to tell his boss not to come so late in the day anymore - because they didn't accept late shipments. Or the time he fought off earlier owners in efforts to close down Brotherhood and make it into condominiums. Or get him talking about winemaking, and suddenly he's off - talking about vineyard management and yeasts and fermentation methods and starter cultures...and the next thing you know, it's 12:30 and you haven't even left the lab yet! But of all this, what about the wine? Well, there's not enough room here to describe them all. The Blanc de Blanc was excellent. 100% chardonnay. It was inexpensive, dry, elegant, lots of bubbles. Wonderful! His Chelois, which is only available at the winery and is yet to be released, was light, fresh, and delicious. A smooth, dry, light red wine. It was incredible. The 2005 Cabernet Sauvignon was excellent. Nice hints of vanilla. Deep fruit flavors with dark plums and black cherry. A beautiful and balanced deep red. An elegant style of the great Bordeaux houses. And of course their Pinot Noir, which is light, fruity, but well-balanced with acidity and just the right amount of tannin. Steve and I tasted lots of wine, and were very sad it was time for us to leave. It was a lot of fun. 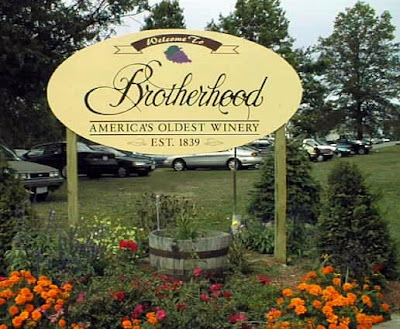 Whether you see Cesar at the winery or not, there's lots to see, taste and experience at Brothehood. 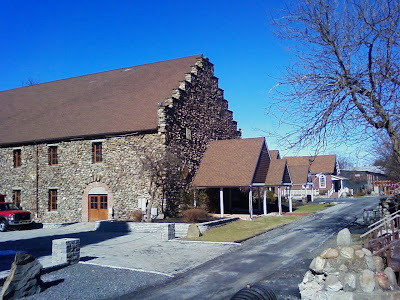 It's easy to see why they were still considered among the leaders in wine in the Hudson Valley.